A few months ago, my life was gripped by a television series. Telling the surreal story of a Western-inspired theme park, full of lifelike robots and guests dressed as cowboys, HBO’s Westworld fascinated me. I thought about it all the time. What intrigued me was exactly what intrigued the visitors to the park – the incredible level of detail that was given to this phony Wild West. Some details were obvious – like sand covered towns filled with saloons and stagecoaches- but most were hidden away; unlocked by only the most curious (or villainous) guests. It was the park that kept on giving, with additional layers of detail to explore each time you visited. I wished that Westworld was real (less so for the gratuitous violence and more because I fancied wearing a pretty bonnet). With Westworld at the back of my mind, I wasn’t sure what to expect when I boarded my plane to Florida, headed for Universal Studios, Orlando. Of course, I didn’t exactly expect eerily lifelike robots or the chance to ride wildly around a desert on a horse (imagine that blog post), but I hoped that the park would be more than just a cluster of rides and fried food outlets. Of course, I needn’t have worried. As I’ve mentioned, detail is king at Universal Studios and Islands of Adventure parks. Based on our favourite films and books – things that could not exist without the gift of detail – the parks are bursting with secrets, peculiarities and hidden gems. Whilst some of these are immediately obvious – the eclectic shop windows of Diagon Alley, for example – much of it is hidden away, revealing itself to only the most eagle eyed guests. I loved this element. It meant I could spend a whole week exploring every corner and backstreet of these parks, only to discover yet more concealed details. It was a little like the Truman Show, but without ever reaching the edge of the world and discovering it was all just a flimsy film set. There was no disillusioned crying in a little rowing boat here at Universal Studios. 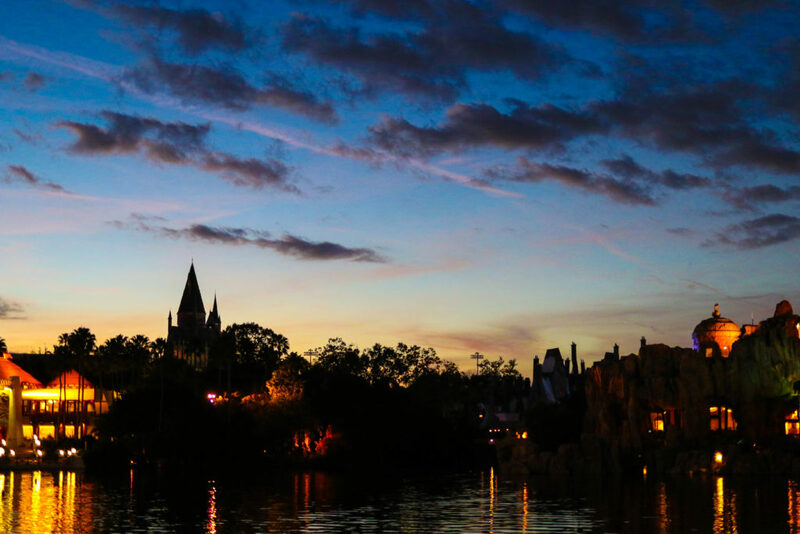 While I don’t want to spoil all the magic for you, I have put together a list of some of my favourite secrets and surprises hidden throughout Universal Studios and Islands of Adventure. And for those I’ve not mentioned? Well, you’ll just have to get yourselves to Florida, to seek them out. 1. When Universal Studios first opened in 1990, there was one star attraction: the ‘Jaws’ ride. This became a much loved attraction amongst park goers, with people visiting the park for one final ride before it closed in 2012 (making room for Harry Potter’s very own Diagon Alley). But rather than just throwing poor Jaws in the skip, Universal Studios made sure that he received the respect that he deserved. 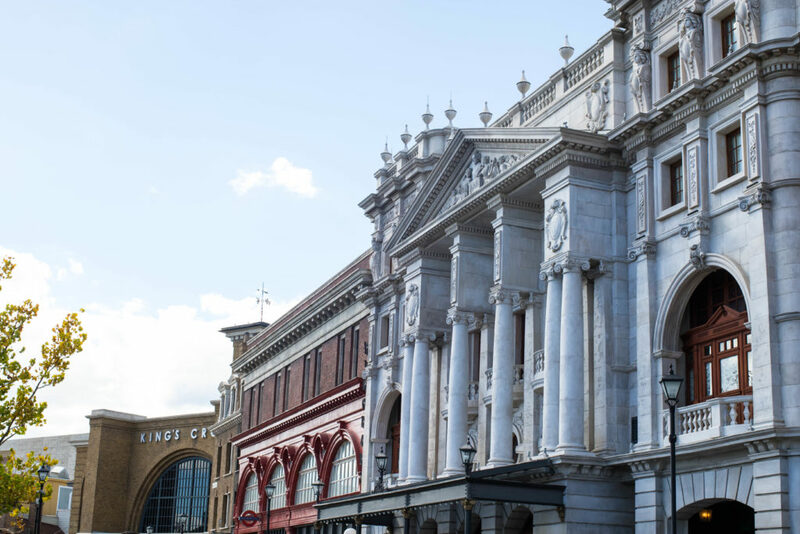 Wander close to Diagon Alley and you might just spot a few hidden homages to our fishy friend. Near Grimauld Place, you’ll notice that the lady on the sign for the female toilets only has one leg; an allusion to the first Jaws film. Walk past the record store near ‘King’s Cross’ and you’ll see the record ‘Here’s to Swimmin with Bow-Legged Women’ in the window: the very toast made by the Jaws crew as they set out to sea. Once inside Diagon Alley, have a close look inside the shop windows and you might just spy our favourite shark’s jaws, floating ominously in the window display. Lastly, don’t forget to listen to the songs sung by the ghoulish shrunken heads in Knockturn Alley, you might recognise one or two of their eerie little sea shanties. 2. Growing up, my favourite film was Jurassic Park. Along with an entire generation of (disillusioned) children, I too believed that one day, someone would extract dinosaur DNA from a mosquito and bring those beasts back to life. I’m still waiting, Attenborough. Although aimed at a slightly younger audience, I was nonetheless excited to visit the Jurassic Park Discovery Centre, based on the infamous Centre that features in the film (remember the jelly scene?) It even has the famous T-Rex skeleton stood heroically in its entrance. While the Centre is full of great facts, there are a few hidden treats for visitors. Firstly, make sure you’re by the incubators when the baby velociraptor are hatching. If you’re there to witness their strangely realistic birth, you’re then honoured with naming one. It is even logged on a system with the date and your name. Visit again 10 years later and you’ll be able to ask how your baby dino is doing. Also, be sure to spot one of the iconic props from the film – the shaving foam can used to smuggle the DNA out of the park. It’s a tiny detail that not everyone notices. 3. 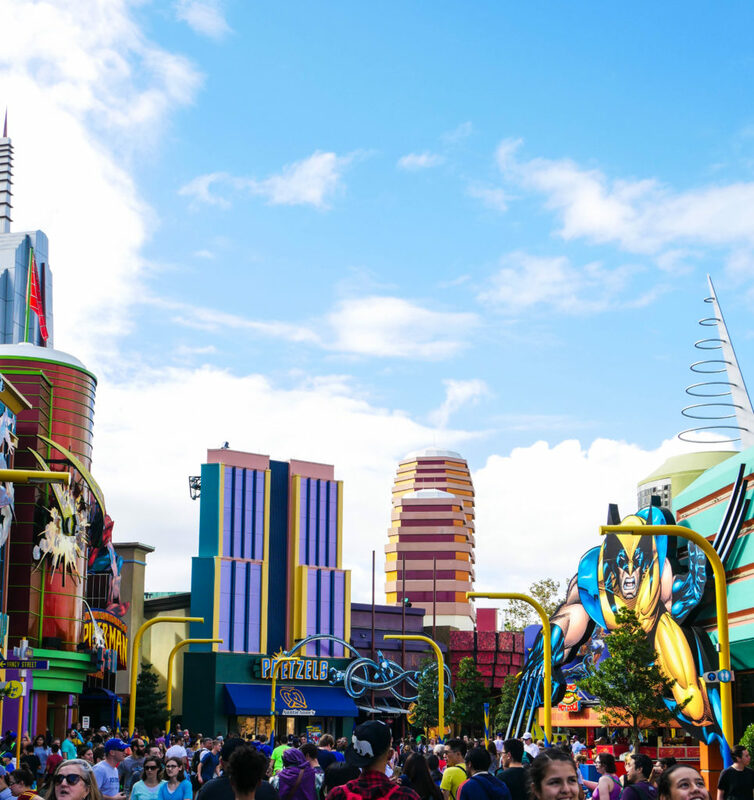 One of the most colourful and vibrant parts of the park is Marvel Superhero Island – home to everyone’s favourite superheroes. With tall, colourful buildings and flashing neon signs, it’s a fantastically atmospheric and action-packed world. While there’s a lot to take in (the roaring Hulk roller-coaster above you is distracting enough) there is one tiny detail hidden in each towering superhero. The artist who designed the artwork throughout the Island, Adam Kubert, cleverly hid his name in each drawing, hidden in and amongst the likes of Doctor Octopus, Captain America and Thor. Keep your eyes peeled and see how many you can spot. It’s an addictive game. 4. An old favourite at Universal Studios was the aptly named ‘Kongfrontation’ ride, staring none other than the king of the jungle himself: King Kong. However, a little like our good friend, Jaws, Kong was eventually replaced by The Revenge of the Mummy ride – an indoor roller-coaster. However, Universal weren’t about to let Kong be forgotten. If you are able to keep your eyes open as you hurtle along the 2,200-foot track of the Mummy ride, you’ll spot references to Kong throughout. My favourite was the golden statue of King Kong, hidden in the flame-filled darkness at the start of the ride. Also, pay close attention and you might notice some banana-shaped hieroglyphic inscribed into the walls whilst you wait in line. Kong lives! 5. Dr Seuss was a very wise man. Able to condense philosophy and the odd existential crises into popular children’s poems, his books and characters form a key part of Universal Studios. 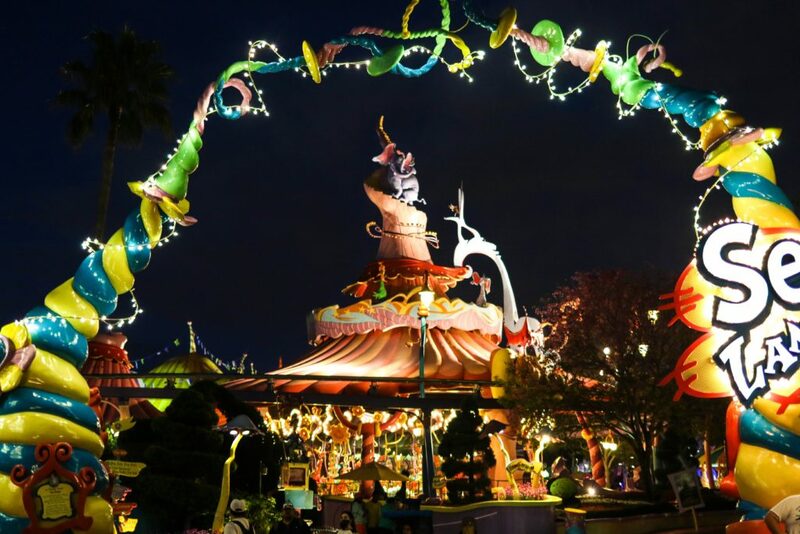 The creation of Seuss Landing – a truly immersive, whimsical and magical world – was overseen by Seuss’ widow, Audrey Geisel, who demanded that all attractions in Seuss Landing be true to the books; down to the smallest of details. Universal agreed and took upon themselves the task of bringing to life the wildly creative world of Dr Seuss; no detail ignored. Wander around Seuss Landing and you’ll notice that there are no straight lines. Not even one ninety degree angle. Even the palm trees curve and jut; victims of 1992’s Hurricane Andrew. Their refusal to grow straight and narrow meant that they fitted in perfectly here – a detail that I loved. 6. 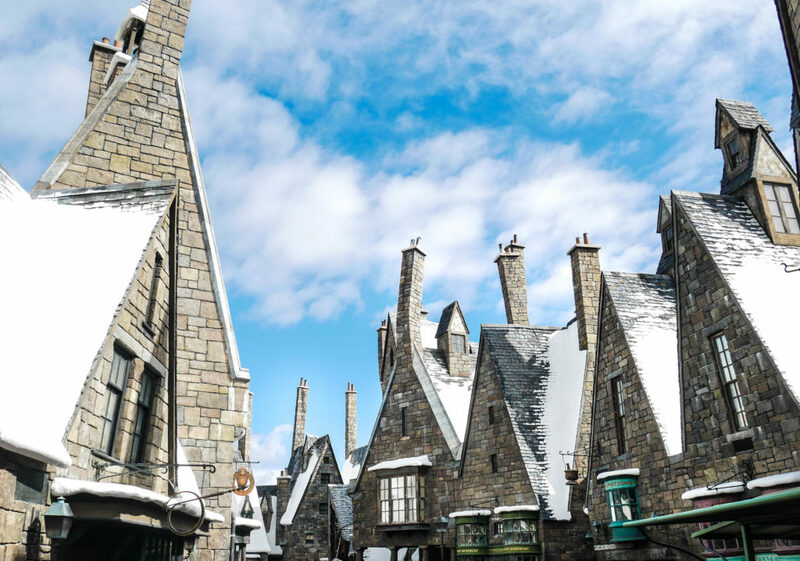 While wandering around Hogsmeade – part of The Wizarding World of Harry Potter – I needed to pay a visit to the bathroom (as one does). Settling down in my cubicle, humming the Harry Potter theme tune to myself, I suddenly heard a noise. A sad, wailing noise. I froze – toilet paper clutched in my hand. I had no idea if it was my neighbour – experiencing a medical emergency – or some sort of native wild dog, but the noise was haunting. It was then that I heard someone laugh: ‘Can you hear Moaning Myrtle?’, she shouted to her friend. Poor Myrtle – the Hogwart’s student, killed by Salazar Slytherin’s Basilisk, is said to haunt the boy’s toilets in Hogwarts School, tormenting its visitors. And, ever the stickler for detail, Universal Studios ensured that her miserable ghost was given a home here in Orlando, in both the male and female toilets. No need to call 911, then. 7. A test for you Harry Potter fans: do you remember how the Death Eaters entered Hogwarts School, in their attempt to kill Albus Dumbledore? Gold star if your first thought was ‘through the Vanishing Cabinet in Borgin and Burkes’. A second gold star if you can remember what Dracos Malfoy put in the Cabinet, to check that it was working? If you can’t remember – no problem. 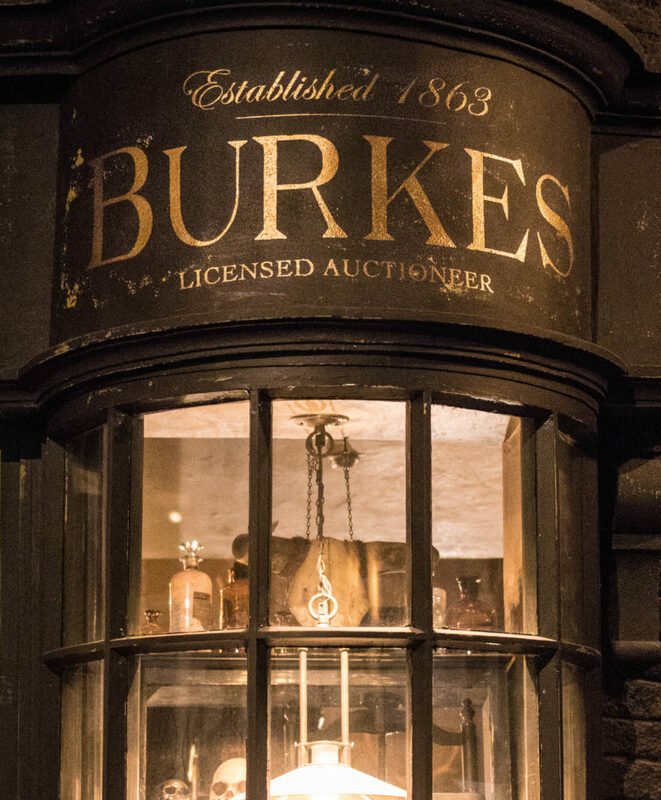 Head to the fantastically atmospheric Borgin and Burkes in Knockturn Alley (part of Diagon Alley) and find the cabinet, in and amongst the eery darkness. Lean in and listen closely, and you might just hear what’s inside. 8. What do Minions like more than anything else? Take a look at the trees that are planted outside the Despicable Me Minion Mayhem ride and you might just be able to guess. Hint: they’re yellow. 9. One of our favourite rides in Universal Studios was the legendary Hollywood Rip Ride Rockit roller-coaster. Whilst hurtling along its track and through its many inversions, you have the added delight of listening to your favourite song and singing along, all whilst being filmed for your very own music video. Special. Whilst there’s an exhaustive list of songs to choose from, Universal have a hidden playlist that only the most astute of riders will notice. When the playlist loads, rather than selecting your genre, instead press down on the Rockit logo for ten seconds. You’ll be asked to enter a 3 digit code. If you get it right, the secret list will load. Our favourite song? Kermit the Frog’s version of ‘Movin’ Right Along’. 10. If you’re enjoying a little bit of England, outside King’s Cross Station (the entrance to Diagon Alley), you might spot a shiny red phone box. How very British, you may think. Step inside and have your photograph taken, but also try picking up the phone and dialling ‘MAGIC’ (62442). Any Potter fans will know immediately who you’ll be connected to. The list above is just a few examples of the hundreds of hidden details, signs, clues and references, concealed throughout the parks. From the hidden names of the builders, directors and producers who were involved in the creation of the attractions – concealed throughout buildings and sets – to hidden jokes, smuggled into the menu at Krusty Burger (only die-hard Simpsons fans will clock these), Universal Studios offers layer upon layer of detail to unwrap, explore and enjoy. 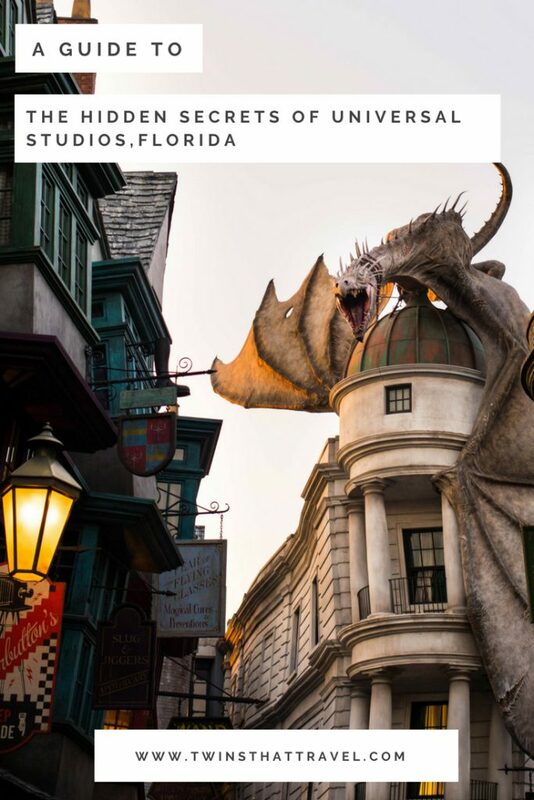 More than just theme parks, they are living histories of film trivia; cultural references; popular culture; authors past and present; park developers and planners; and our best loved film directors. They are imaginations captured, built and brought to life, all underneath the hot Florida sunshine. Westworld has nothing on this place: not even its fancy bonnets and promises of galloping around a desert. These are parks that I want to keep coming back to again and again, exploring their details until I can say that I’ve uncovered every single one. A mission that I imagine will be as successful as any attempt to find a straight line in Seuss Landing. Haha, yes you so need to go back just to sit in the loos! I went to Wizarding World in Universal Hollywood last year and got SO excited that they had Moaning Myrtle in the toilets. My girlfriend is not really a Harry Potter fan and didn’t share my excitement lol. 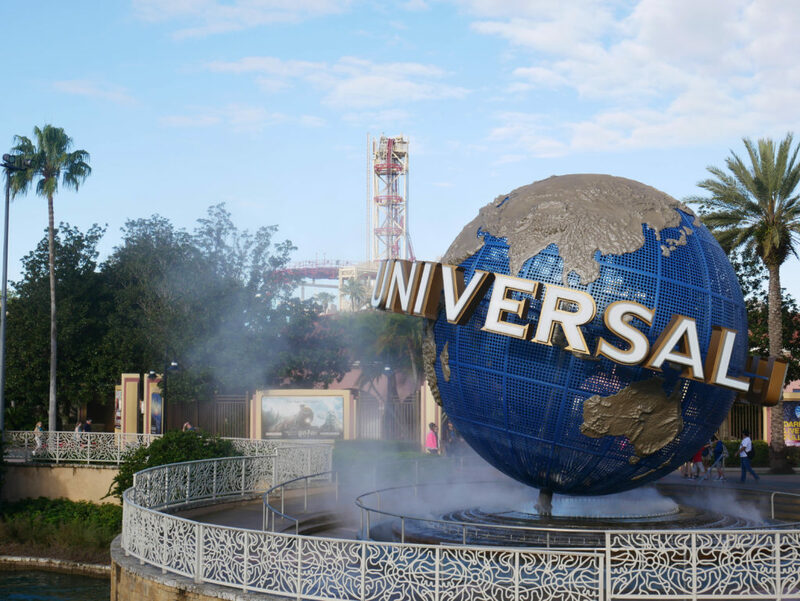 My husband and I love going to theme parks and have been to Universal a few times, but I have never paid enough attention to all these little details!! That seems so bad but now I will definitely have to look out for them if we go again! 🙂 Thank you for sharing!